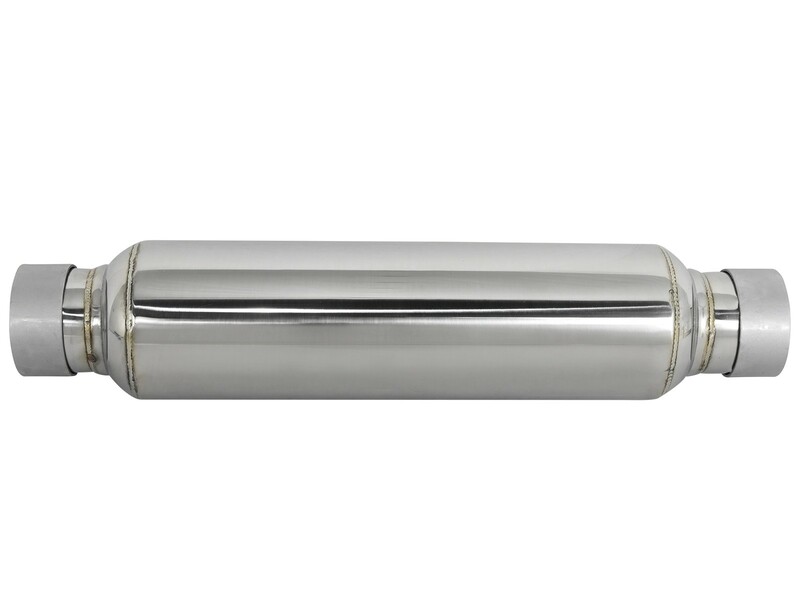 Reduce unwanted interior resonance or drone with this polished 304 stainless steel resonator. 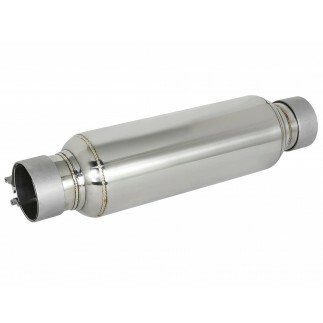 This resonator is constructed out of 304 stainless steel and comes complete with high quality band clamps for an easy installation. 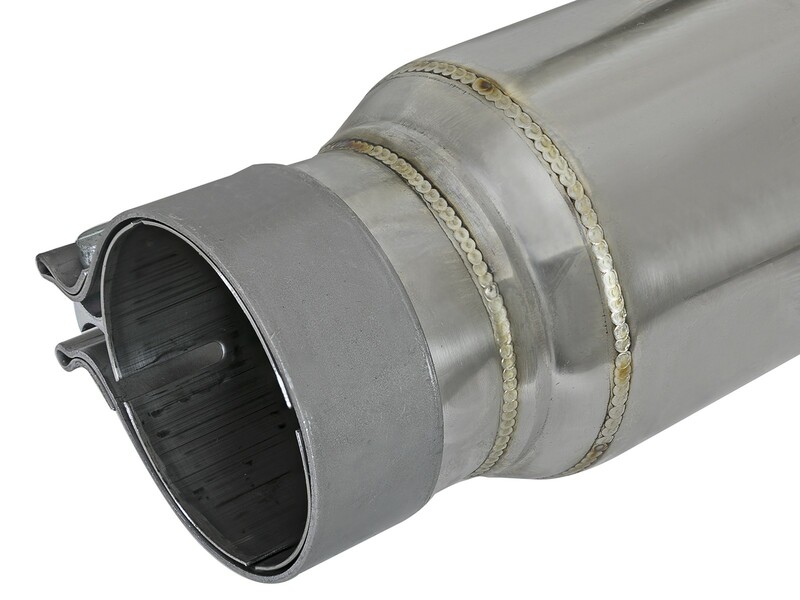 Specifically designed for 2-1/2" exhaust systems, this resonator has a 4" Dia. 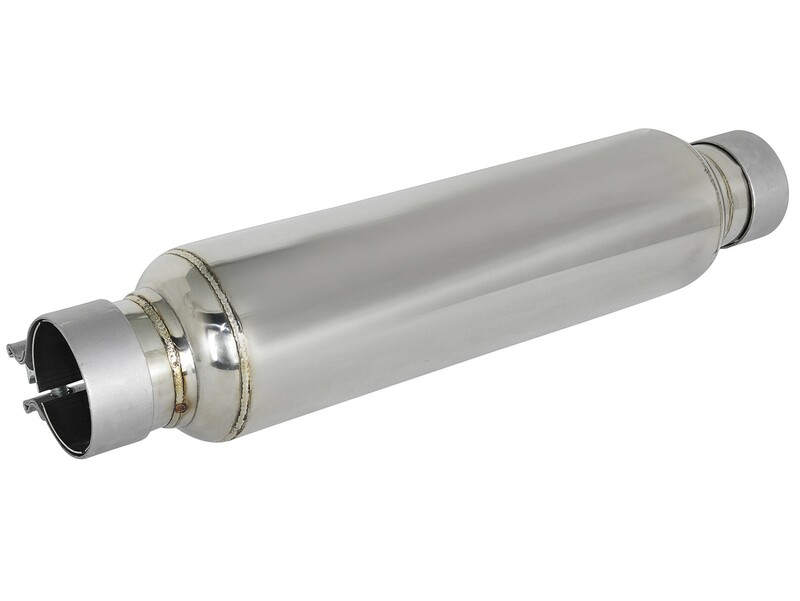 x 15" Body, 19" overall length, and build for durability and rust resistance. This system will result in low turbulence, maximum flow, increased horsepower, and increased torque. 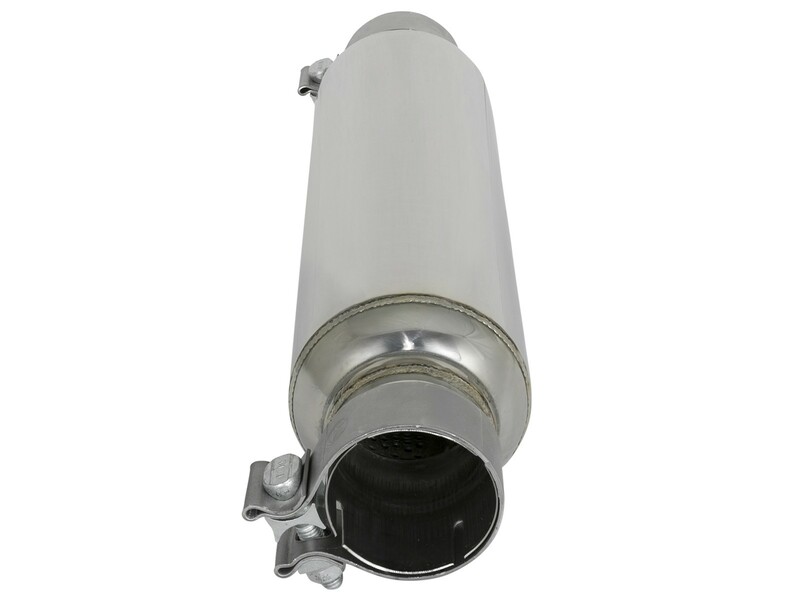 This exhaust resonator is constructed using polished 304 stainless steel for maximum strength and durability. 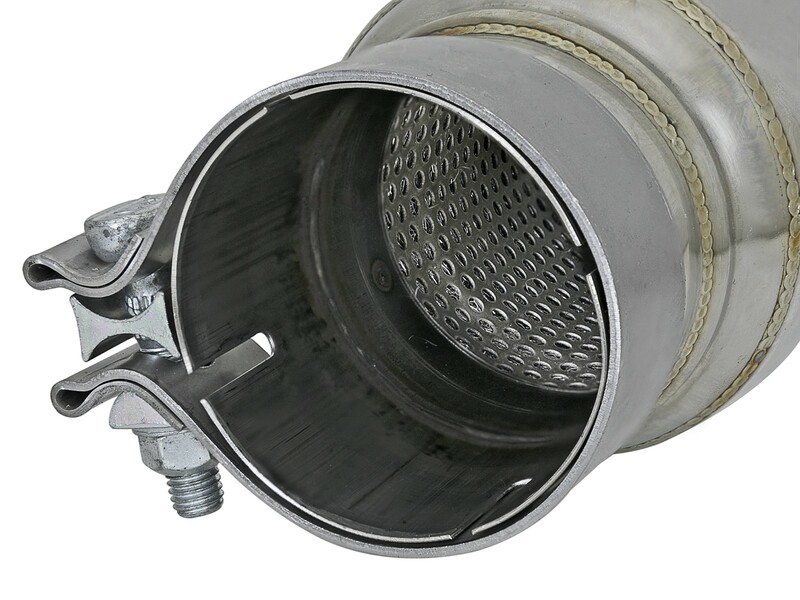 High quality stainless steel band clamps are used for a hassle-free installation. 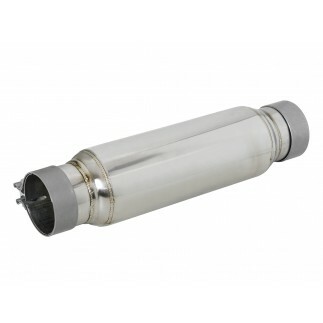 Will fit to 2-1/2" stainless steel tubing.